CHICAGO (AP) -United Parcel Service says it has halted deliveries in about 250 zip codes in the Midwest and western New York because of concerns for the safety of those making deliveries in the extreme cold. 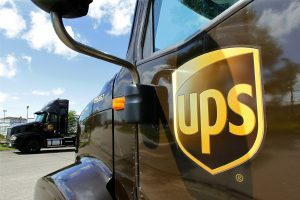 UPS Chief Operating Officer Jim Barber said Thursday that most of the routes that won’t receive deliveries are in rural areas. He says drivers delivering in cities have a chance to warm up while making deliveries to businesses. UPS says it stopped deliveries to about 100 zip codes on Wednesday. The Post Office says there are 42,000 zip codes across the country. To see if your zip code is affected click here: https://www.ups.com/us/en/service-alerts.page?id=alert1#.